talk on a Cairo street. Photo by Jotman. It's probably fair to assume that readers of the New York Times are better informed about the Muslim world than your average American. That's a scary thought. 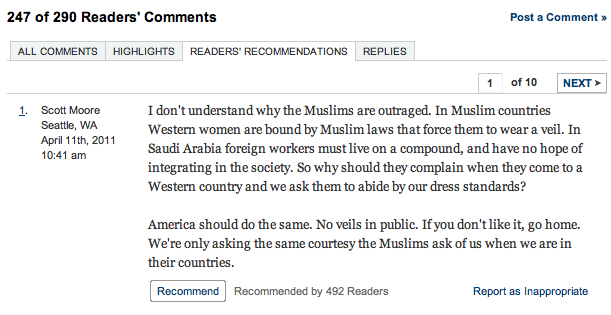 Scott, the reader who left the popular comment began, "I don't understand why the Muslims are outraged. In Muslim countries Western women are bound by Muslim laws that force them to wear a veil." Scott concluded, "We're only asking the same courtesy the Muslims ask of us when we are in their countries." The NY Times reader's comment is predicated on falsehoods. Western women visiting most of the world's Muslim countries are not bound by any dress code laws. Nor are local Muslim women in most of the world's 47 Muslim-majority countries compelled to adhere to dress code laws. Saudi Arabia is not reflective of the Muslim world as a whole. 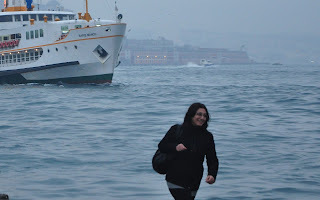 A woman in Istanbul, Turkey. Photo by Jotman. Andrey, who left the hightlighted comment, wrote, "Like post #1 said, when a western woman visits the middle East, she's frowned upon and faces restrictions for not wearing a hajib. 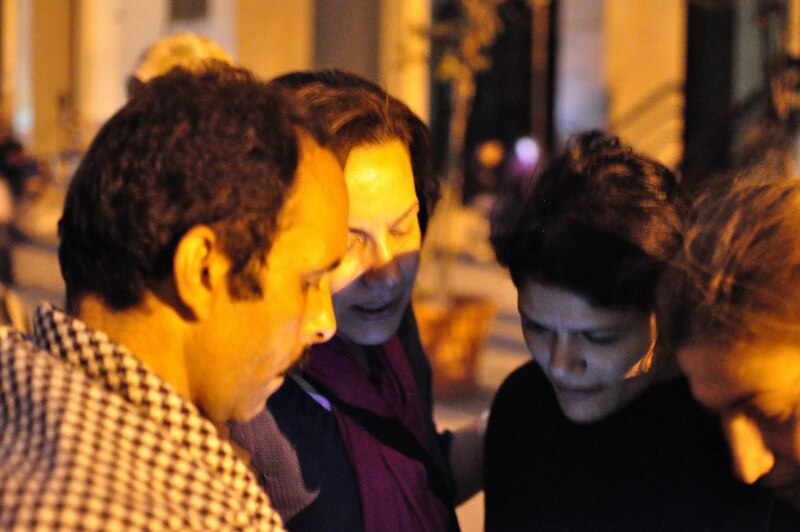 It's hypocritical of middle Eastern women to express outrage when similar barriers are enacted elsewhere." Of course, Audrey is merely repeating misinformation. Nevertheless an editor at the New York Times highlighted her comment for being particularly "interesting and thoughtful." France has passed a law for which there are few parallels. It is conceivable that in the future a political leader in the Middle East will cite the new French law as justification for legislating a code of dress for women.